The Center for Students with Disabilities is proud and excited to welcome Jonathan Mooney, writer and learning activist, to the UConn community on Wednesday, April 4 to close out our 50th anniversary! 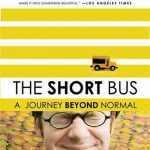 Jonathan will talk about his journey as an individual with a disability, and his second publication, The Short Bus: A Journey Beyond Normal. Labeled as “dyslexic and profoundly learning disabled”, Jonathan did not learn to read until he was 12 years old. He is a graduate of Brown University with an honors degree in English Literature. Jonathan has spent his entire professional career as a social entrepreneur developing organizations, programs, and initiatives to improve the lives of marginalized groups. Through his publications and activism, Jonathan has established himself as one of the foremost leaders in the neurodiversity and learning revolution. Book signing outside of the theatre at 1:00-2:00 pm.